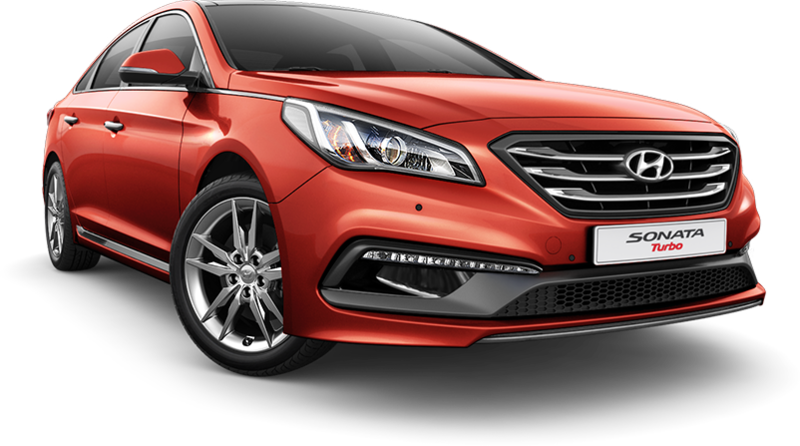 Hyundai Sonata Turbo | HYUNDAI - NEW THINKING. NEW POSSIBILITIES. A strong heart for a breathtaking performance. Experience a dynamic driving sensation. a more elegant look and a vivid touch. 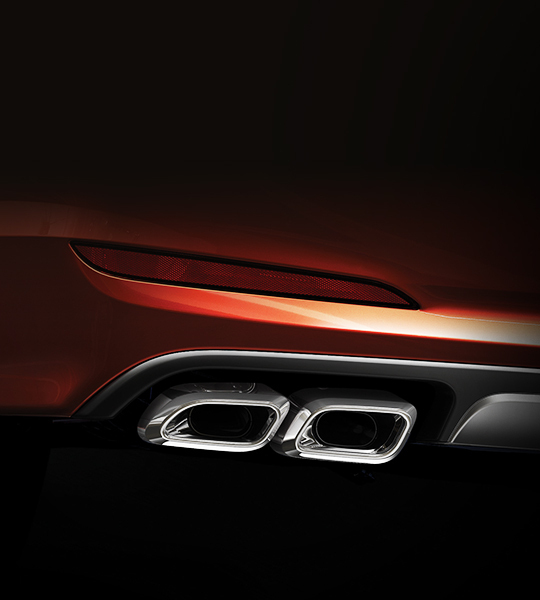 twin dual muffler exhaust tips. low/mid-range torque and sharper throttle response. Driving has never been more enjoyable! 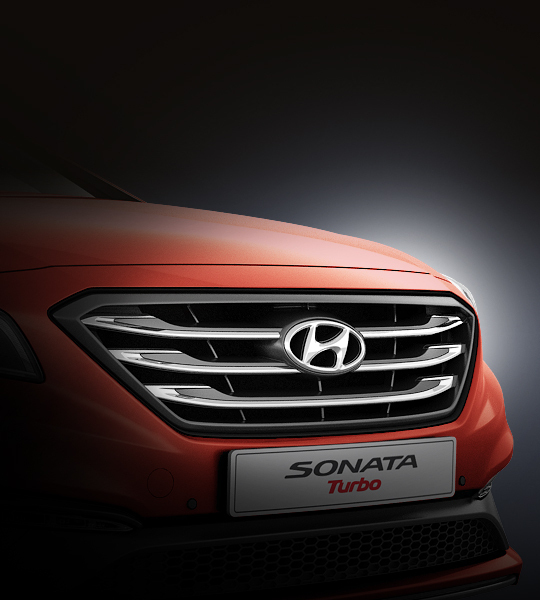 The Sonata Turbo's beauty is the confident and quiet kind. No need to show off. HID headlamps High intensity discharge (HID) headlamps illuminate the road with a crisp light more intense than that of any other headlamp while using less power. 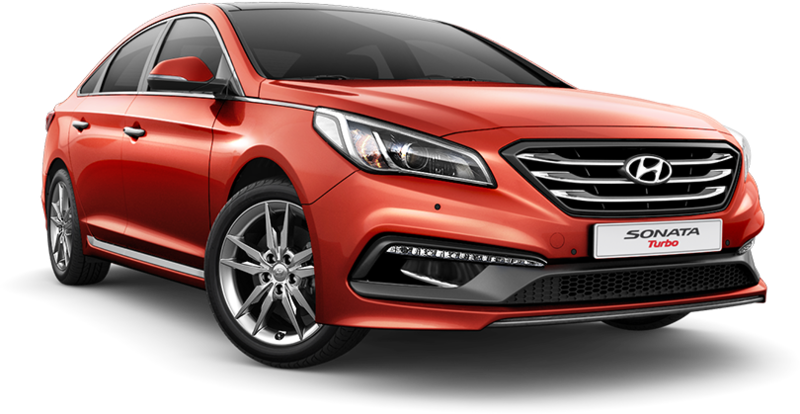 Their slim design is a natural continuation of the Sonata Turbo's beltline molding. 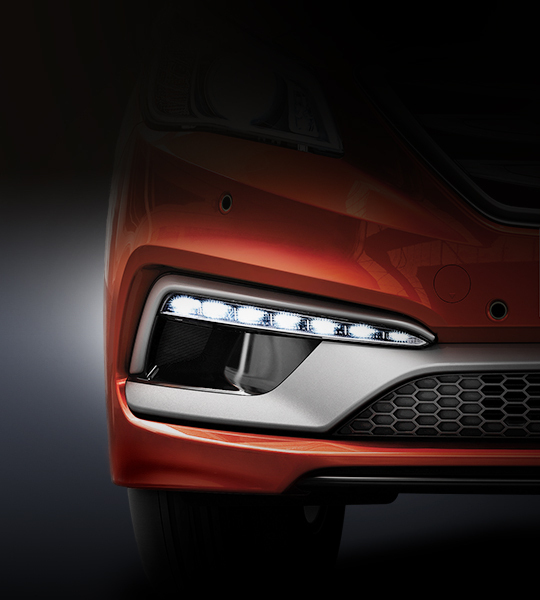 LED daytime running lights (DRL) Mesh grille on the lower front bumper and the LED daytime running lights (DRL) form an excellent combination of dynamism and intensity. Radiator grille Bold, unique and stylish. The turbo-only radiator grille is just in the right place, perfectly blending in with the bodywork. 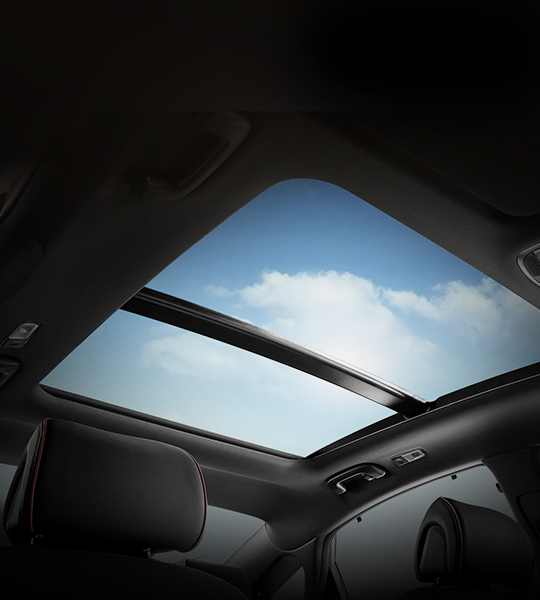 Panorama sunroof With the panorama sunroof, you can enjoy not only a bright and airy environment but also a sporty and modern exterior. Waistline molding Utterly dynamic from the front to the rear and around the side! 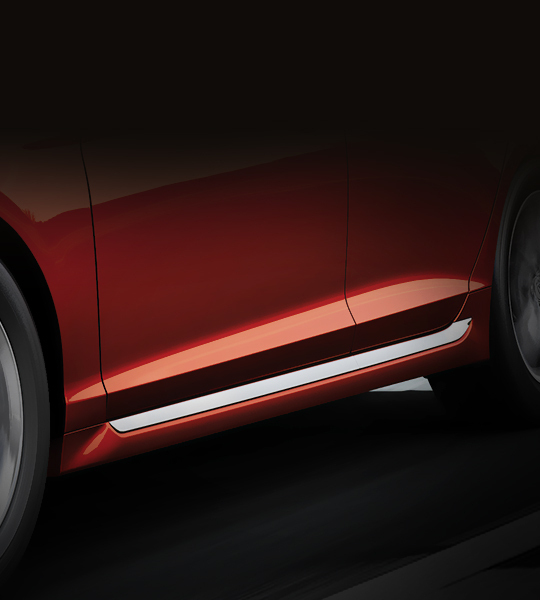 Just see how the sculpted side sill molding boasts its sporty emotion. 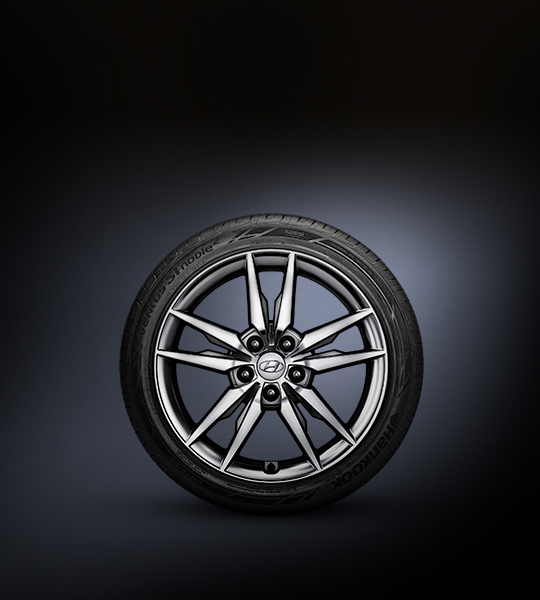 18" alloy wheels Turbo-only sports 18" alloy wheels promise you a smooth and thrilling driving experience while the 17" large diameter disk brakes on the front wheels ensure you increased safety. LED rear combination lamps LED rear combination lamps that minimize energy consumption create an aggressive yet sporty rear image. 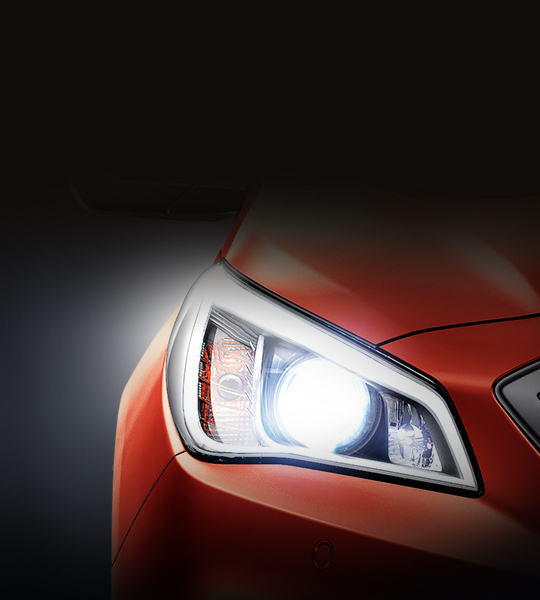 Excellent visibility reduces the possibility of a rear-end collision. Dual twin tip mufflers The aggressively shaped dual twin tip muffler tail trim provides a sense of high performance. The dual version doubles the feeling. Smart trunk system No hands to open the trunk? 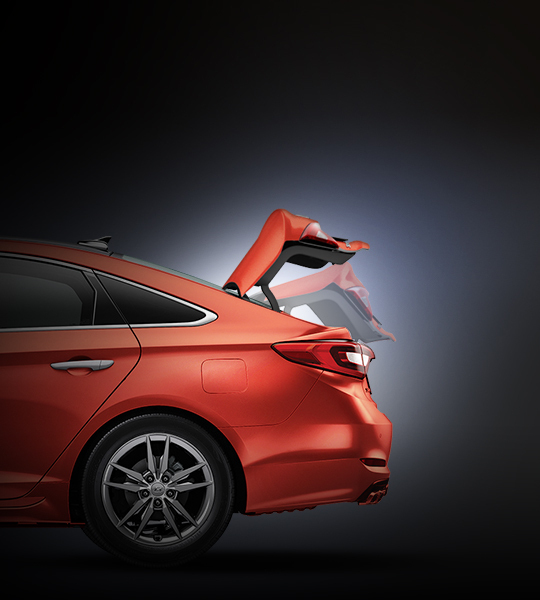 Just stand near the trunk with the smart key for 3 seconds and it will automatically open. No need to put down your bags. 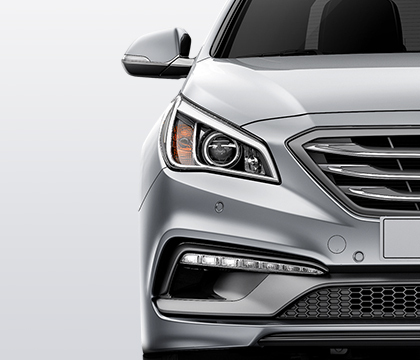 Chrome-coated outside handles add to the Sonata Turbo's luxury profile and give you an easy grip. Lights on the inside of the door handles elegantly guide your hand. Drivers behind you will notice your braking and keep their distance thanks to the LED high-mounted stop lamp (HMSL), which is located at the eye line of those behind. Just focus on driving. 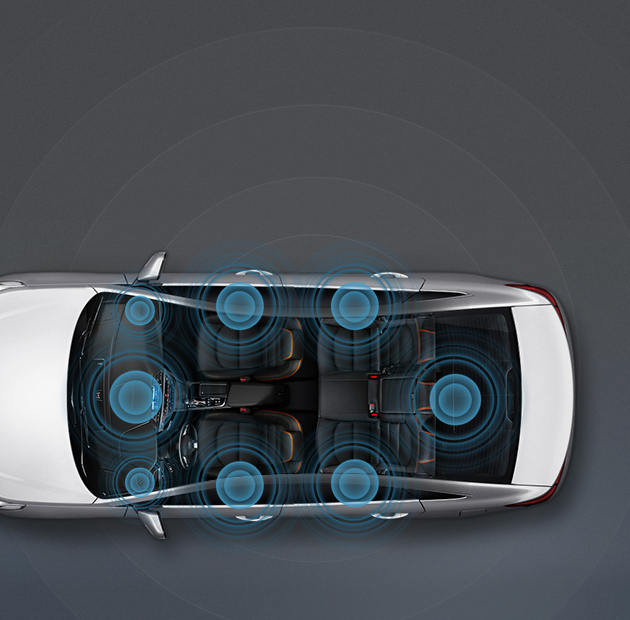 The Sonata Turbo's perks and comforts will make themselves known. Feel embraced by the fluidic and dynamic interior space, which comes in two refined color schemes. Seat trims match the beige or black seat colors. 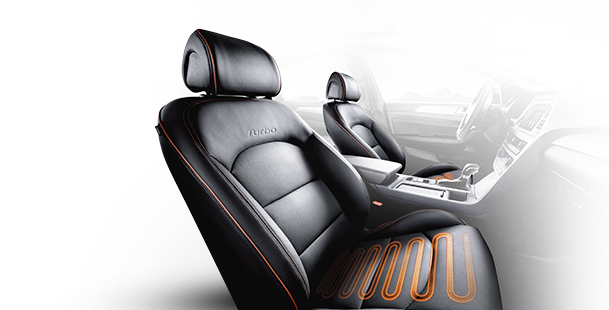 Luxurious details and design create a premium image. 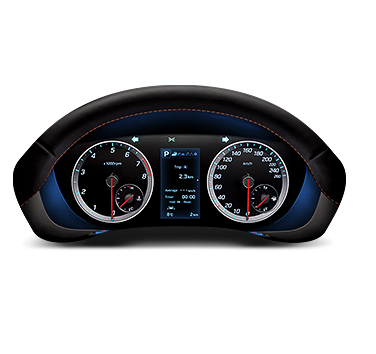 The cluster displays comprehensive vehicle information about fuel efficiency, speed, control lights and more. Considering user convenience, the control system is placed harmoniously and coherently, providing a user-centric, convenient and intuitive control. Two in the family drive the car? No need to fret about keeping your seat position. 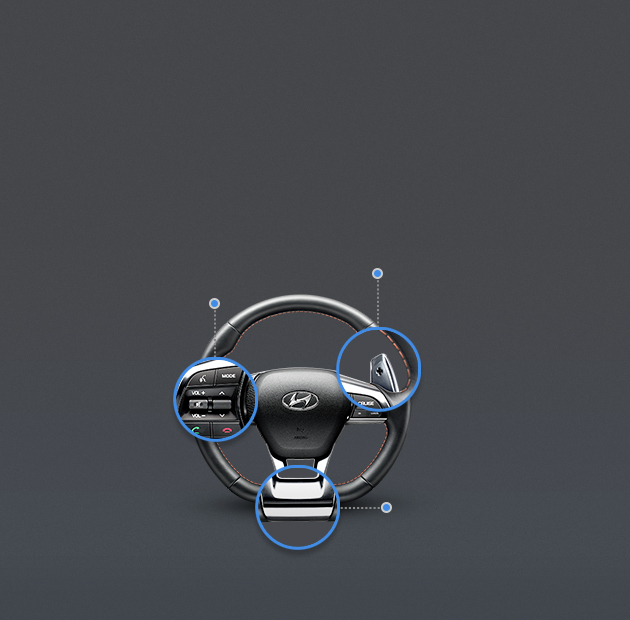 The Integrated memory system (IMS) memorizes two outside mirrors and driver's seat positions. 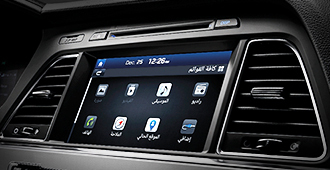 The audio system interface uses an 8" LCD, which is also used to show navigation data and view from the rear view camera. 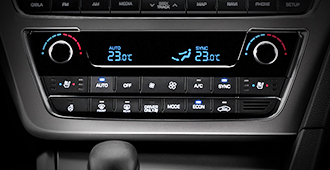 Both the driver and front passenger enjoy the temperatures they want with the full auto air conditioning system. 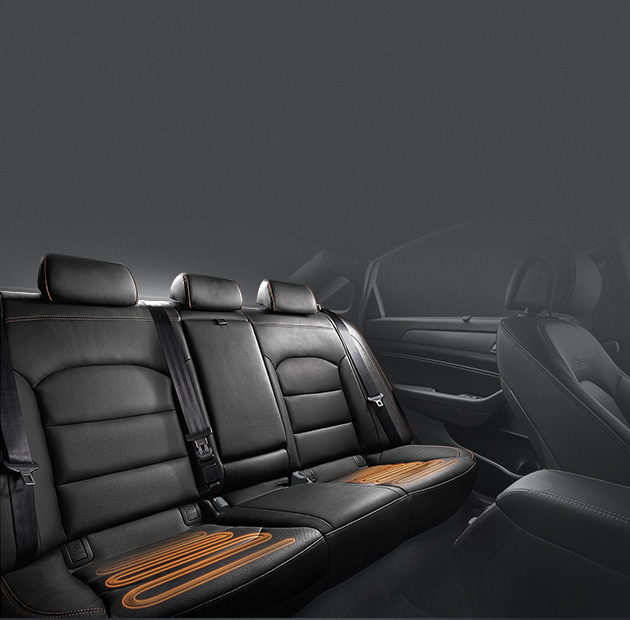 The customized interior climate makes sure everyone on board is comfortable. 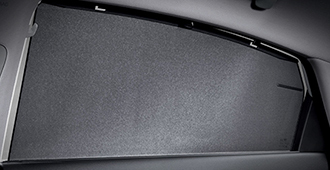 If the sun is shining too strongly or you simply want more privacy, an electric rear window sunshade operates at the touch of a button. Rear seat side curtains can be wound up when you want privacy or just want to block out the light. 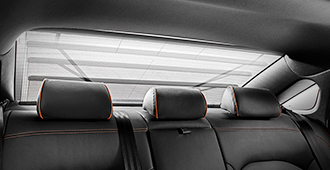 With rear air ventilation, your backseat passengers can stay as cool or as warm as they want. 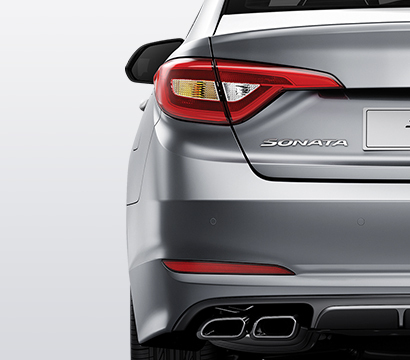 A feature common in luxury cars, door scuffs protect the Sonata Turbo's sills from scratches and shoe marks. Get in and out, without being too careful. 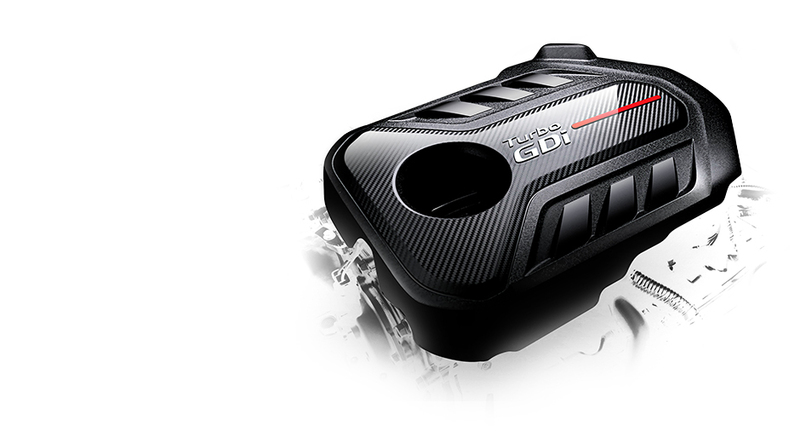 maximum 36.0 kg·m of torque at 1,350 ~ 4,000 rpm. 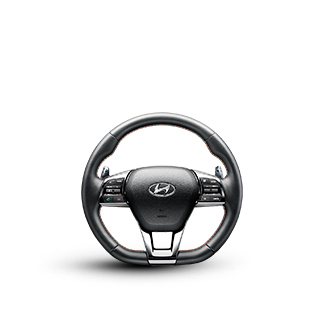 This lets you choose from three different driving modes – normal, sports, and eco – depending on the steering feel you desire and to suit different driving conditions. Increase visibility on a curve with Static bending lights (SBL) when turning a curve. The SBL illuminates previous blind spots when making turns for better sight. airbags to offer improved protection. stopping distances regardless of road conditions. 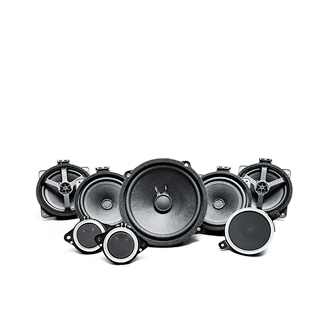 Every element made perfect for your touch, and every sound strikes a perfect balance. comfortable grip in your hands and stable handling at high speeds. with just a movement of the thumb. 26 degrees in just 3 minutes. 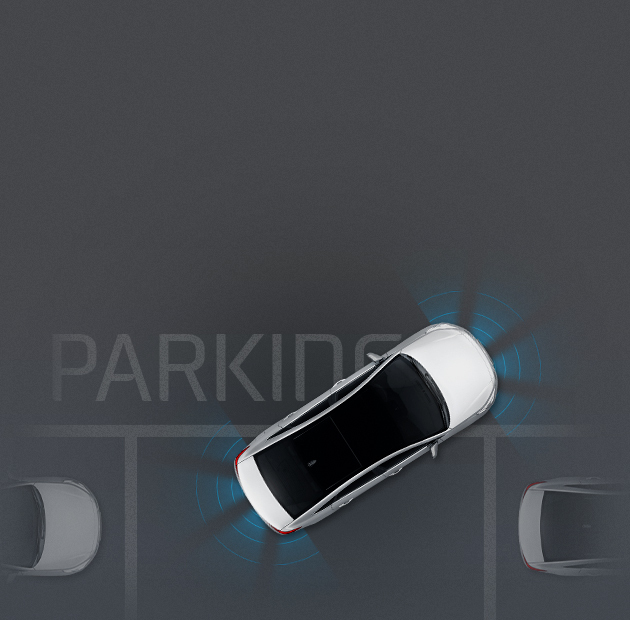 The Electric parking brake (EPB) helps lessen your effort while parking. 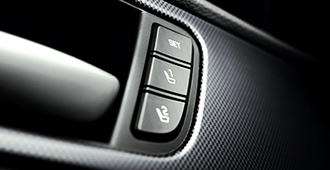 A simple operation of a switch turns the parking brake on and off. 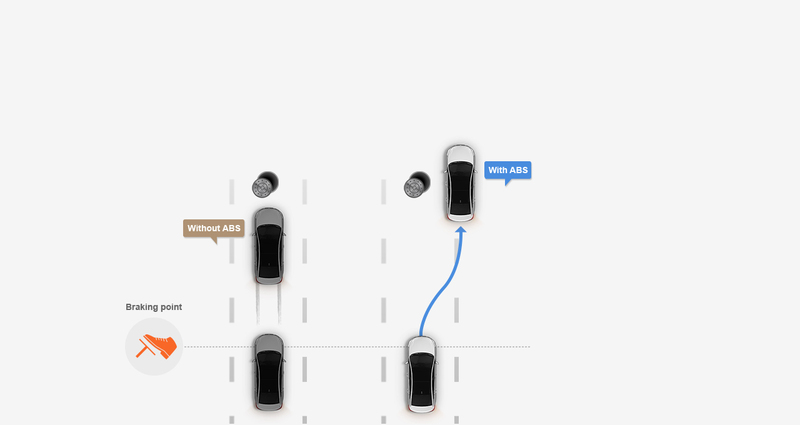 Stay networked with AUX and iPod connectivity. A USB port lets you plug in an iPod and other mobile storage devices so that you can enjoy your favorite music. To start the car, all that’s required is a press of the engine start / stop button. 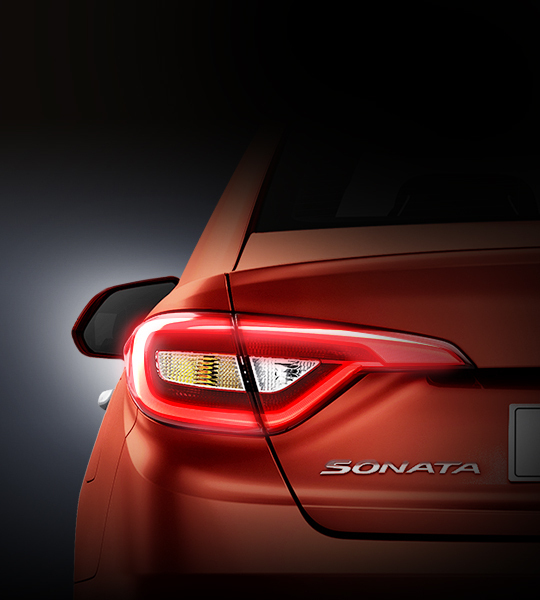 Hold your smart key as you approach the Sonata turbo. The car will detect it. All you have to do is press the button on the door handle. The Electric chrome mirror (ECM) makes sure you're not blinded by the light reflected from the car behind you. It automatically senses and reduces the intrusion of light. Improved front-seat ventilation not only keeps the driver and front passengers refreshed during hot weather, but drops the air temperature about 5.5% more than before. Better your sight in the fog. 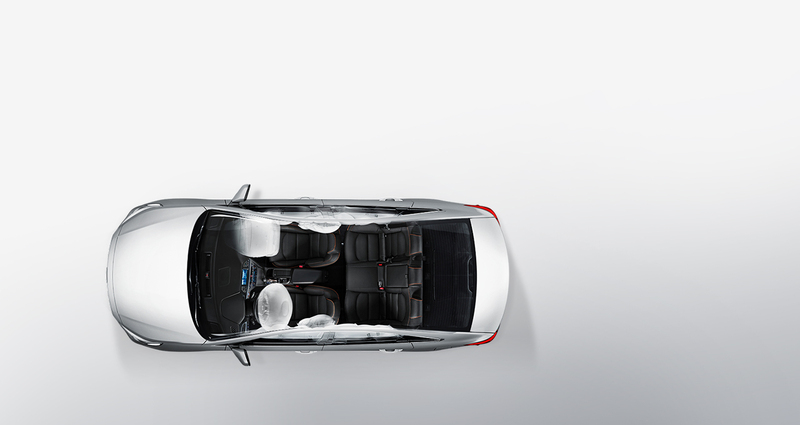 The auto defogging system automatically detects windshield condensation and removes moisture to clear up the glass. 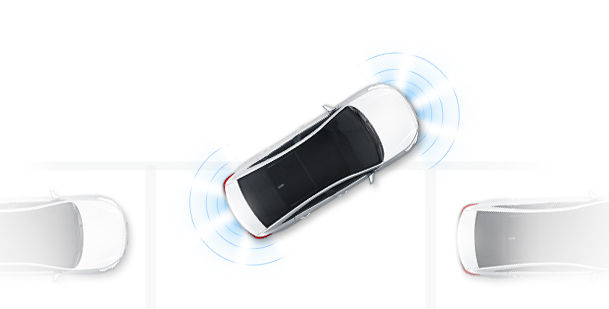 A rain sensor and aero blade wipers that automatically sense rainfall amount control wiper speed and keep the wipers from being lifted while driving at high speeds.